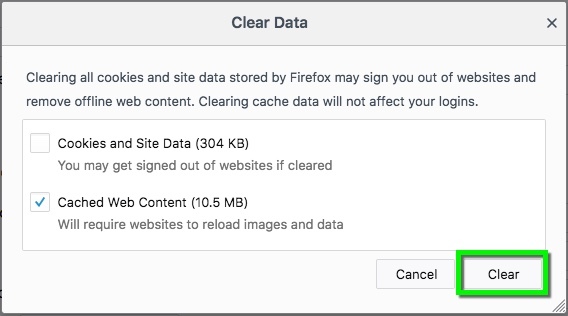 Clearing a web browser’s cache can correct problems you may have using a web browser while on the Queens network. The instructions below demonstrate how to clear Mozilla Firefox. Select the menu drop-down in the right upper hand corner select Preferences. 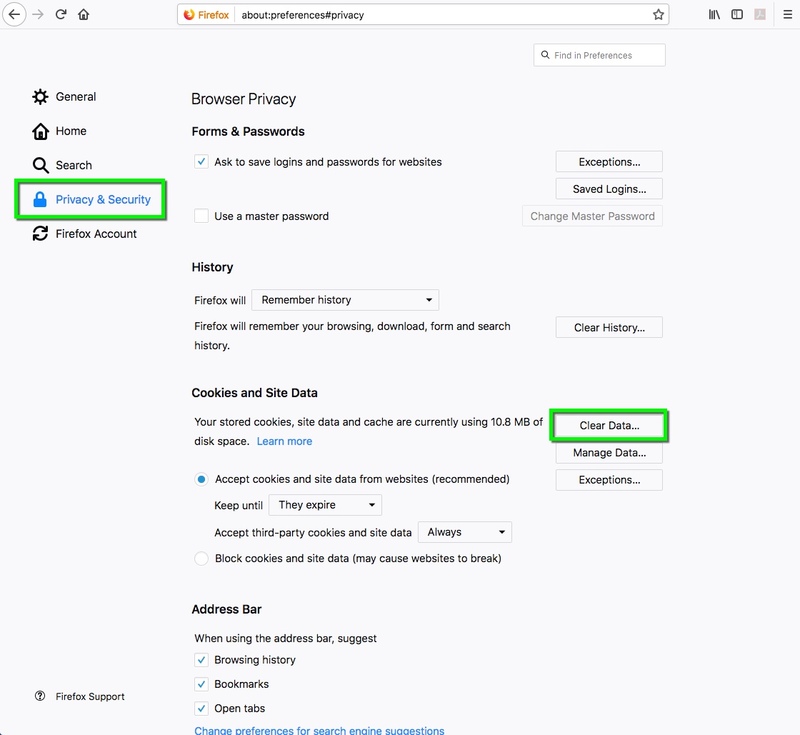 Go to the Privacy & Security tab and click Clear Data under the Cookies and Site Data section. Unselect the Cookies and Site Data option then click the Clear button. Close the Preferences page. Any changes you've made will automatically be saved.